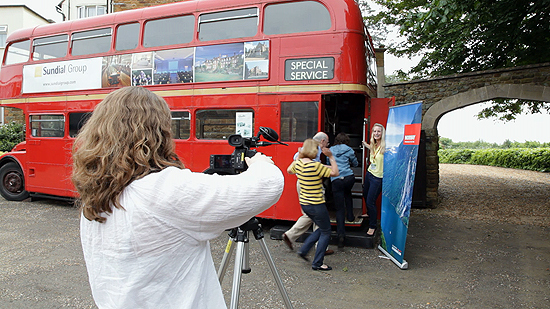 I had a really busy June this year including filming a corporate away day at Highgate House, Creaton, Northants for CAT Publications Ltd – the publishers of M&IT magazine (Meetings and Incentive Travel). The event was sponsored by the Norway Convention Bureau and Visit Norway and attended by event organisers from various companies across the UK. The purpose of the event was to introduce delegates to the various regions and conference/event facilities in Norway so that they might point their clients towards holding events there. 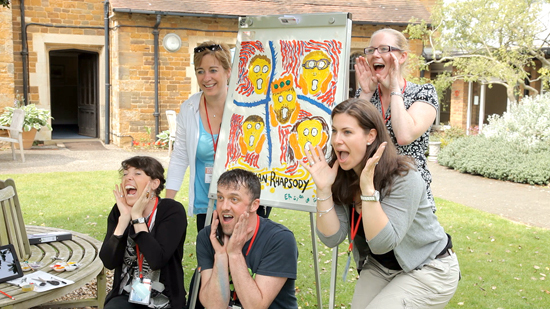 The underlying theme to the day was the work of the famous Norwegian artist, Edvard Munch and his iconic painting, ‘The Scream’. Apart from formal classroom-type presentations on the various Norwegian venues and regions, delegates were divided into teams to take part in fun and challenging activities including painting their own version of The Scream, making a short film based on the painting and taking part in an extreme crossing activity. Video Artisan was brought in for two reasons. Firstly, CAT Publications wanted to produce a short overview of the event to help them promote future events and give an insight into their unique approach to managing corporate away days. The second part of the brief was to supply camera kits for the teams to produce their Scream films and to provide them with technical support. In addition, each team’s film had to be edited by the end of the day for a screening and judging session. 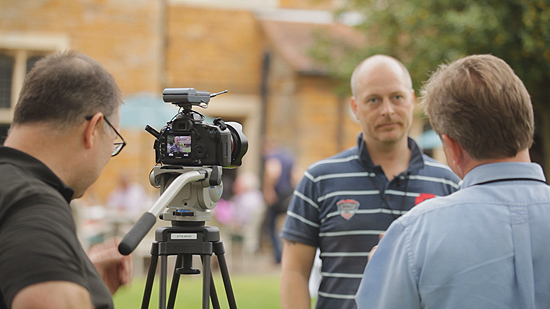 In the quieter periods (there weren’t that many) I was also able to shoot interviews with the organisers, sponsors and delegates to help me tell the story for the promo film. I also used these moments to pick up on some establishing shots of the venue as well as more abstract coverage of the activities. Apart from the usual mass of filming equipment I take on these assignments I also had to rig up my old Edius 4.5 edit suite in a separate room away from the main conference area. This had to be able to output to DVD for the screening session and possibly a number of other digital formats just to be sure that the delegate’s films could be seen and judged when they needed to be. The camera kits (two Canon XF105s) were supplied by Hireacamera and were been delivered on the previous day. I chose these cameras as I’d used them on similar events last year and they’d been incredibly easy to use in their ‘Auto-everything’ mode. The MXF file format that they record to is also ideal as my Edius system (as old as it is) can use these files on the timeline in their native form. I used Hireacamera because they are both dependable and really understand my needs – and they didn’t disappoint on this occasion either. The client certainly seem to be very pleased with the end result and have said there’s more work in the pipeline that they want to get me involved in. That’s exactly the response I aim for on every project and I hope to be filming a corporate away day for them again very soon.